Welcome to Star Dazzlers Synchronized Ice Skating. The Star Dazzlers are a synchronized ice skating team who are proud to call Proskate Ice Arena in Monmouth Junction, NJ home. Open to girls and boys of all ages, the Star Dazzlers, under the direction of head coach Laureen Valentino, practice on a weekly basis and perform in various competitions throughout the year. This fun team sport focuses on developing skating skills, team spirit and lasting friendships. 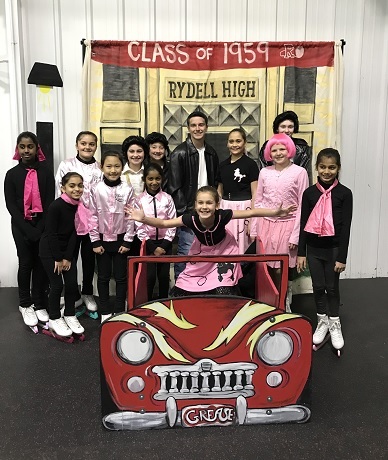 In addition to synchronized skating, members of the Star Dazzlers perform in Theater Production Events, Ensemble Events, Couples Spotlight Events, Solo Performances and more. Interested skaters should email Laureen at lvskatepro@comcast.net to find out more about becoming a member of the Star Dazzlers. Please follow us on Facebook to stay up-to-date on the latest Star Dazzlers happenings at www.facebook.com/StarDazzlers.